Looking to hire an in-demand professional speaker? 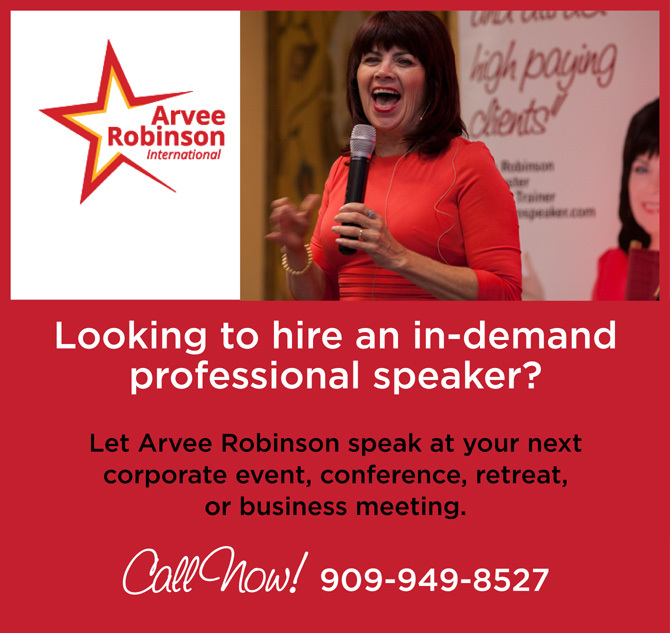 Let Arvee Robinson, The Master Speaker Trainer, International Speaker, and Author speak at your next corporate event, conference, retreat, or business meeting. As founder of Arvee Robinson International, Arvee is a sought after high-energy motivational speaker, having delivered over 3,500 presentations in multiple countries on Marketing, Business Growth and Development, and Communication, in addition to her Superstar Signature program: Speak Up, Cash In. On stage, Arvee is known for her dynamic wit, high-impact delivery, and ability to connect and engage with her audience. 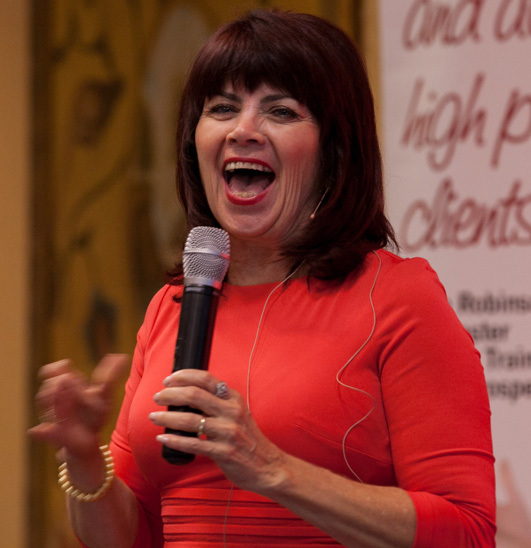 For over a decade, she has been working with non-profits, businesses owners, service professionals, and entrepreneurs in professional development through motivational keynote presentations, content-rich educational programs, speaker training – which includes teaching her exclusive proven speaker system, coaching, and seminar events. Arvee Robinson’s presentations can be customized to meet the needs of your organizations event, audience size, time requirements, schedule and budget. Click here for meeting planner requirements and general information on how to Book Arvee.